Judge dismisses suit about Obama's eligibility to be president. 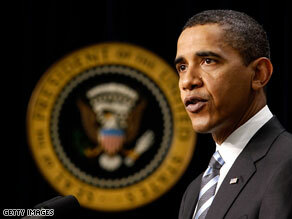 (CNN) - President Barack Obama may have one less problem to worry about. A federal judge on Thursday dismissed a lawsuit that claimed Obama is ineligible to be president because he isn't a bona fide U.S. citizen. The lawsuit represented the claim by the so-called "birthers" movement that Obama was not born in Hawaii - despite a birth certificate to the contrary - or that if he was, his citizenship was invalidated by living overseas as a child. In a 30-page ruling, U.S. District Judge David O. Carter of California said his court lacked the jurisdiction to rule on a case intended to unseat a sitting president. Carter's ruling said the plaintiffs were trying to persuade him to "disregard the constitutional procedures in place for the removal of a sitting president." "The process for removal of a sitting president - removal for any reason - is within the province of Congress, not the courts," the ruling said. Carter's ruling also noted that the plaintiffs "have attacked the judiciary, including every prior court that has dismissed their claim, as unpatriotic and even treasonous for refusing to grant their requests and for adhering to the terms of the Constitution." "Respecting the constitutional role and jurisdiction of this court is not unpatriotic," the ruling said. "Quite the contrary, this court considers commitment to that constitutional role to be the ultimate reflection of patriotism."